I picked this up on a whim last week. That's the problem when you have a Boots so close to work. Its so easy to pop in whenever you need something on your way home. 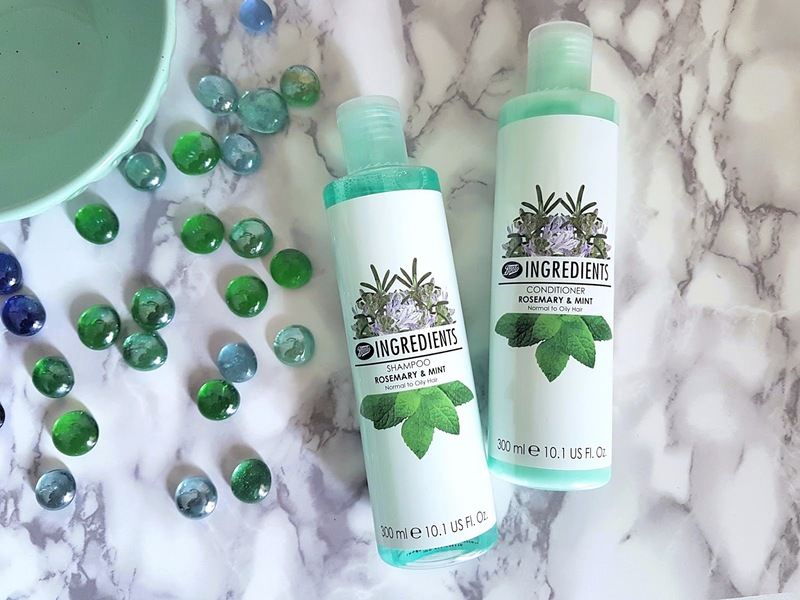 In all honesty, I added this shampoo to my basket because of its mint green colour - you see, I'm currently slightly... well, that's a lie... more like overly obsessed with mint green. From Baskin-Robins mint chocolate chip ice cream to mint green accents in my living room to a mint green cardigan from M&S. I have a problem! Anyway, the shampoo and conditioner targeted oily hair, which I have, so I decided my purchase was warranted and I did need a new shampoo. I've used the shampoo and conditioner for almost two weeks now and absolutely love the scent, it is divine! Smells like a mojito, which incidentally was my first alcoholic drink, that is if you don't count all the glasses of grandma's homemade wine I downed as an under-aged teen. Anyway, it smells fresh and promises a treat for your sensory organs. Colour and scent aside, unfortunately that's where my praises stop. There's no cooling sensation which I had been promised by the sales assistant. Hmpf! The shampoo lathers initially, but the bubbles die almost immediately and you're left with virtually nothing to work with. Now I love my bubbles and I want/need them. I guess this means that there's less SLS in this shampoo and it should supposedly be better for your hair and scalp, but SLS is still listed as the second ingredient just like all my regular shampoos so there goes that theory. Anyway, in order to combat the fewer bubbles, I use more shampoo than usual. On rinsing I'm left with squeaky hair as if I've just washed my hair with dish washing liquid, but despite the squeaky feeling, my hair still feels dirty. It strips your hair of all moisture whilst not cleaning it at all. Is that even possible!? Rinse and repeat now becomes imperative and is no longer just a suggestion. By now my hair feels as dry and arid as the Kuwait deserts and I reach for the conditioner in order to solace my hair. The conditioner does replenish some of the lost moisture and my hair is left a little more manageable, but it just isn't enough. My hair hasn't looked worse and I was left with dry, dull and dirty hair after every wash. I've now resorted to applying a deep conditioning mask every after wash, the L'Oreal Elvive Extraordinary Oil Mask is amazing by the way! Now that's sad. I love how this is a Boots own-brand product. A product made by a pharmaceutical company makes me think that a lot of thought and research has gone into a product, hence a better quality product. But, having to put in that much effort in order to make a shampoo work is just not worth it - a shampoo conditioner duo to miss.